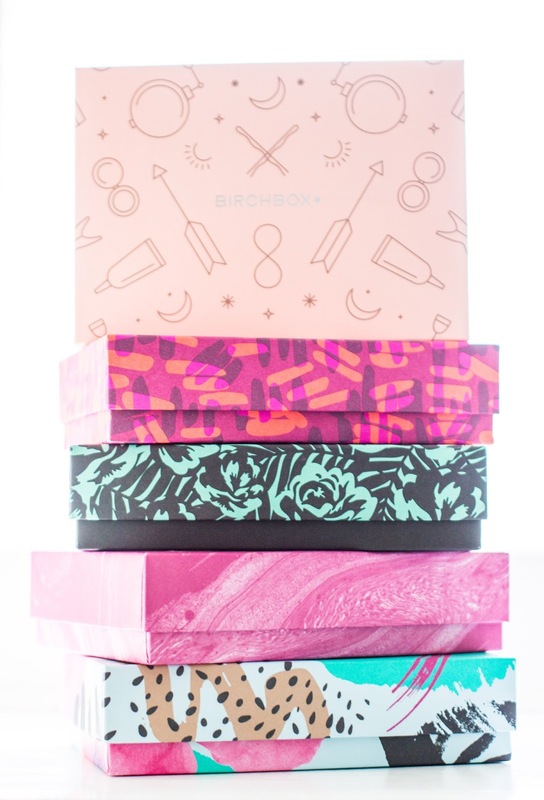 I love getting mail...and I love beauty products, so it only seemed right to take a chance and order Birchbox! 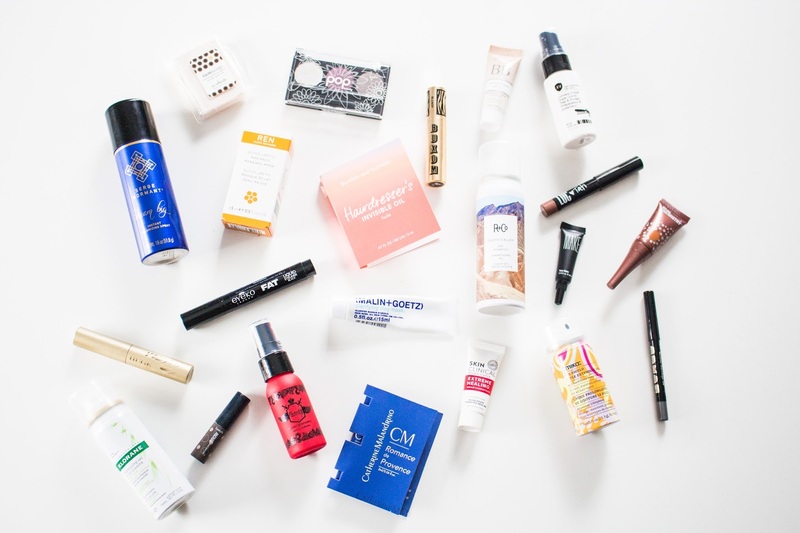 I have had this subscription for five months now and while a lot of products have been misses, there are a few that I absolutely love! In my opinion, it can be really difficult to find products that work, simply for the fact that there are so many varieties and options. I have received many samples. Some aren't up my alley (i.e. eyeshadow for example), some just didn't interest me, some smelled weird, and some I tried and just didn't care for. I am the type of gal when i find a product I love, I almost never stop using it. I may rotate between products but that particular product will always come into play. I narrowed my samples down to five that I can no longer live without. They enhance my features and actually work...my favorite! 1 // Serge Normant "Dream Big" Instant Volumizing Spray: This stuff is ah-ma-zing. My hair lacks volume and any first of texture...this spray is a game changer! I went through my entire bottle (I ordered the larger size recently) and I tried others but they didn't give my hair the wonderful volume that this spray did. A must-try if you are looking for volume...it actually works! 2 // Buxom Mascara: I use this mascara first, followed by Maybelline. This is a great mascara to lengthen and separate my lashes. It doesn't clump and it goes on beautifully. 3 // Pur Lisse BB Cream: I have never tried a BB bream until I received this sample. I mainly use this on my under eye area. It is tinted so it acts as a great concealer but also gives by skin the moisture it needs...and deserves. Highly recommended. 4 // Benefit 'Gimme Brow': Next to Anastasia brow products this liquid brow filler is wonderful. Another product that glides on smooth and fills in my brows where necessary. This little sample actually lasted me a long time. It's a bit pricey but worth it if you are looking for a good brow filler. 5 // Beauty Heat & Detangling Spray: I just received this sample a week ago and so far, I love it. The coconut smell is refreshing and it sprays on very light. I can easily comb through my hair afterwards. A nice change to my normal heat tamer and detangler! 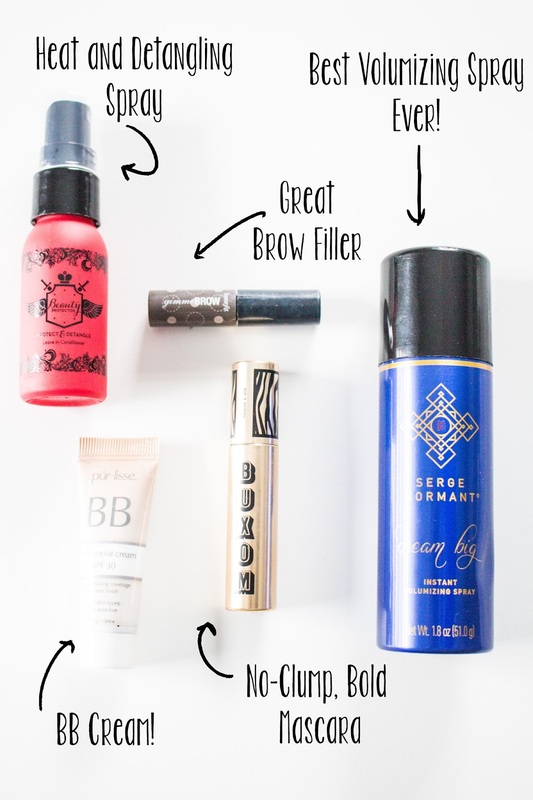 Any beauty products must-haves that I need to try? Comment below!